If persistent pain has limited your ability to engage in all the activities in life you love, we want to help you. 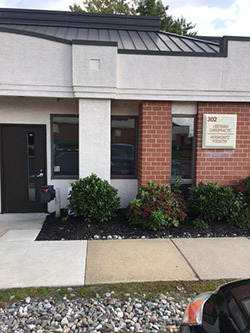 At Liberman Chiropractic, Dr. Michael Liberman, Voorhees Chiropractor is passionate about helping patients of all ages experience a better quality of life that comes with optimal health. Whether you’ve been in an auto accident or woke up with excruciating back pain, you need to get care as soon as possible. Regardless of how busy we may be, we can get you in the same day you call. Dr. Liberman’s decades of experience allow him to provide exceptional chiropractic care and rehabilitation to help with a broad range of conditions. Dr. Liberman always takes the time to provide the one-on-one care that you need. There’s no glancing at the watch or hand on the door knob that communicates a rushed visit. He will spend quality time with every patient to determine the cause of their problem and then provide an effective solution. If you’ve been running around from doctor to doctor for months or years trying to find an effective solution to your pain or chronic condition, you’ve come to the right place. We find it gratifying to provide drug-free and noninvasive solutions to help patients heal and get on the path to enhanced health and wellness. If you’re ready to live your best life and enjoy the best health possible, we invite you to book an appointment today with Chiropractor Voorhees Dr. Liberman! We offer same-day appointments and on-site X-rays for your convenience and accept insurance as well as Medicare. Highly recommend Liberman Chiropractic! Dr. Liberman takes the time to listen and he really cares about his patients!